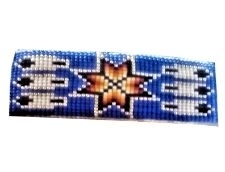 Wow, look at all the detail in this hand beaded barrette! Size 11/0 Cz seed beads in a light blue, orange, white, yellow, and black traditional Morning Star pattern surrounded by feathers against a dark blue background. Natural leather backing with french metal clip. Approximately 4.2" long x 1.2" wide (10.7 cm x 3.0cm). 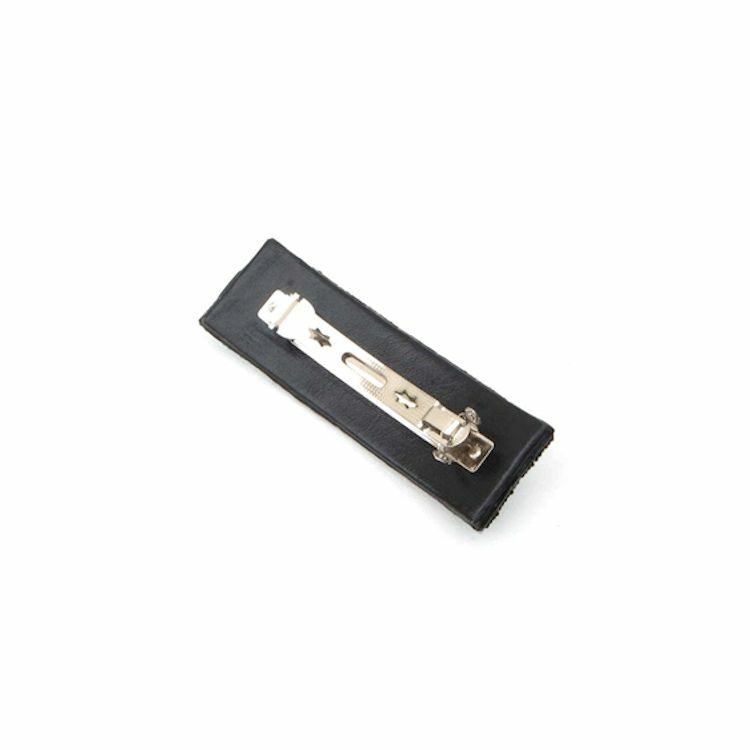 Also called a beaded hair slide or beaded hair clip, this beaded barrette can be shipped internationally. This product was added to our catalog on 10/20/2018.